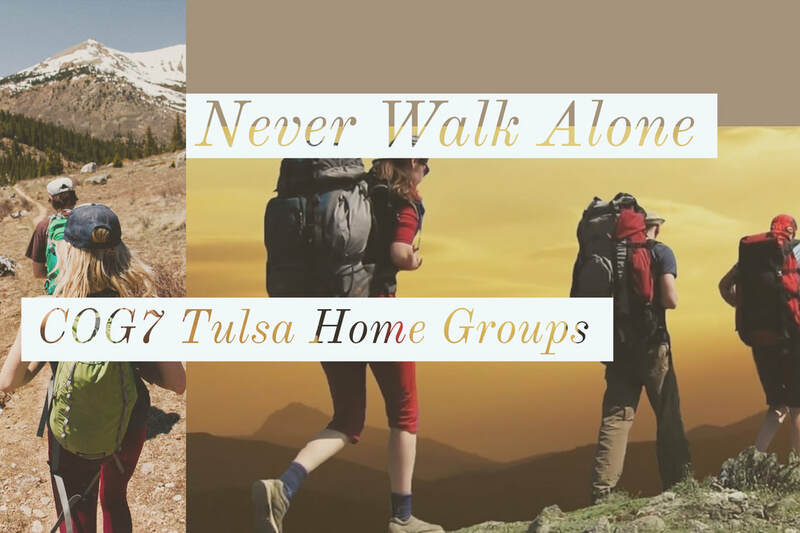 We have home groups meeting across the metro area. Each group takes on its own personality and style while seeking to be engaging, casual, and edifying. Contact us for exact addresses of the group you would like to attend. Our Purpose: To serve God, believers, and the spiritual needs of others, just as Christ served. We are to fulfill Matthew 28:19-20 (The Great Commission) by teaching, equipping, encouraging spiritual growth in all believers (through the Holy Spirit), and baptizing disciples. This year also adding Women's Dessert bakeoff! 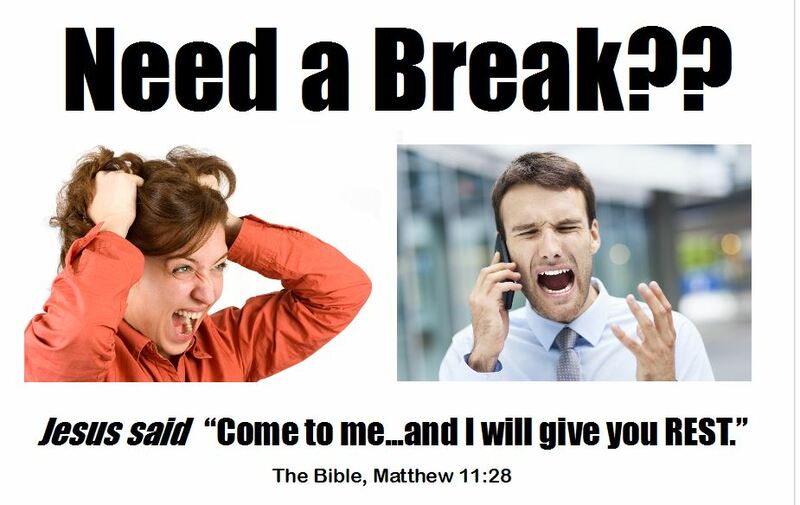 Did you come to this site from seeing the "Need a Break??" message? We are glad you came! Most of us can identify with these two people. But we don't have to live life that way! A good place to start is with this article on our companion GoodNewsTimes.org website.